When you get a divorce in Nevada, a community property state, you generally divide all property and debts down the middle. This means everything you own and everything you owe, either together or even separately, gets divided pretty much down the middle, unless there is a good reason as to why it shouldn’t be, and unless the property in question falls under an exemption. Below are five things you should do with your finances during a divorce. For instance, if you inherited a sum of money, no matter its size, that’s yours alone. If you bought the house in which you and your spouse resided before the marriage, and you never co-mingled funds to pay the mortgage, or to pay for its upkeep, the house is yours alone. If you already owned it, but you used your current salary to make mortgage payments, or your spouse helped make the mortgage payments after the marriage or paid for upkeep and updates, then your spouse is entitled of one half of the equity increase that has occurred since the marriage, minus the down payment you made at the time of the purchase. We once had a divorce case where Husband had added Wife to a savings account he had with his parents. The judge said that the funds in that account were now a community asset and he ordered that Wife be given one-fourth of the monies in that account even though she had never contributed to it. Also, if you use separate property funds to pay community marital debt, it is presumed to be a gift from your separate assets to the community assets. If your Uncle John gave you a $50,000 (or any gifted amount), for any reason whatsoever, it’s yours alone, as long as you don’t deposit it into a joint account. Then, it becomes part of the community assets. It’s always best to pay off as much of your debt as possible before the divorce is granted. The fewer joint debts you have, the easier it will be to negotiate and divide them, not to mention being able to put them out of your mind completely. Because even if your ex-spouse is responsible for a joint credit account as part of the divorce settlement, you’re still liable for that debt if your ex-spouse doesn’t pay. Third parties (such as creditors) are not bound by the rulings of a family court. Most creditors will honor what it says in the final decree of divorce, but only as long as the payments are being made. So if the judge says that Mary must make payments on the car she’s driving, but John is also on the loan, if Mary doesn’t pay, the credit company is likely to come after John to make the payments. Should this happen, the only recourse for John is to go to Family Court to try and resolve the issue. A family court judge is likely to hold Mary in contempt of court if she doesn’t make the payments ordered in the decree of divorce. The best thing to do here is to obtain your credit report, and that of your spouse, from all three credit agencies and scrutinize them for all monies owed by you and your spouse. Unless an account was just opened very recently, all credit accounts are bound to appear on there. If you suspect your spouse might have recently opened new accounts without discussing it with you, get updated credit reports about a month later. You want to be certain that there are no surprises after the divorce. A man we know vaguely (we didn’t represent him, or we would have told him how to care for his finances during a divorce) discovered after the divorce that his wife had purchased a 72” television and put on the electronics store’s credit card he had opened with her. Bottom line here, is that unfortunately, he was just as liable for that debt as she was; it turned out that she paid the debt, but it could just as easily have gone the other way. To be sure you know all that’s going on with your credit during this time, consider credit monitoring. Some banks offer this service for free if you have a credit card with them, so start there. Having your credit monitored means that you are less likely to find new debts you knew nothing about after the divorce is finalized. To take things one step further with your finances during a divorce, and assure that nothing can be added to your joint accounts, consider simply closing or freezing all joint credit accounts. As you know, you should immediately close all joint bank accounts. Freeze your accounts by calling all credit card companies and telling them about the divorce and asking for them to no longer allow new charges on the account. Note that this will mean that you also won’t be able to charge anything on those cards. 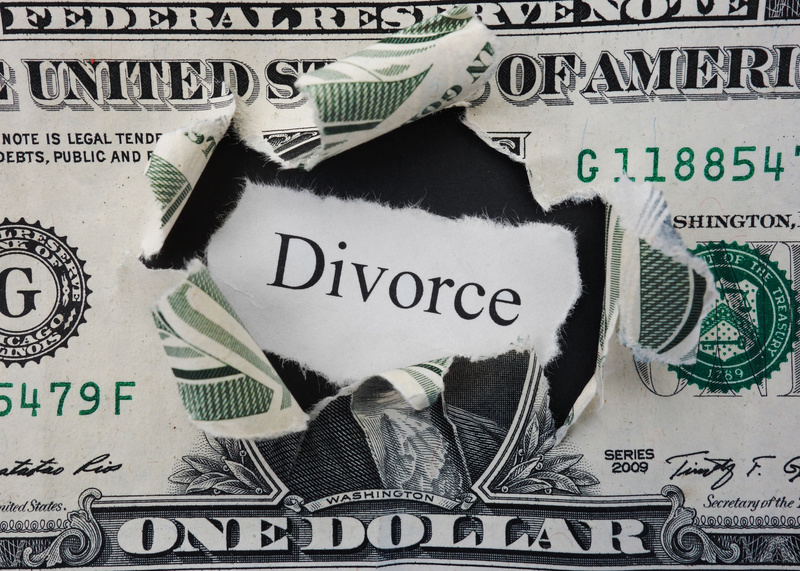 Taking care of finances during a divorce doesn’t end when you get your final decree. There are still often tasks left to perform to protect yourself and your credit standing. If you are keeping the marital home as part of the divorce settlement, be sure to file the quitclaim deed as soon as possible. What you don’t want is for your spouse to still appear to own the house and use it as collateral for any type of loan. Same with any other property, such as cars and bank accounts. And if your spouse is the one to keep the house, and is supposed to refinance it in her name only, follow through until you see proof that it’s been done. You are still responsible for that mortgage until it’s paid off. Lastly, when it comes to finances during a divorce, many people neglect to review their living trust and will. Your priorities there are sure to have changed based on the divorce, so don’t neglect this very important task.